A new bill of rights was introduced in Seattle. The Domestic Worker Ordinance creates a new labor standard protecting housekeepers, nannies, gardeners, cooks and household managers. 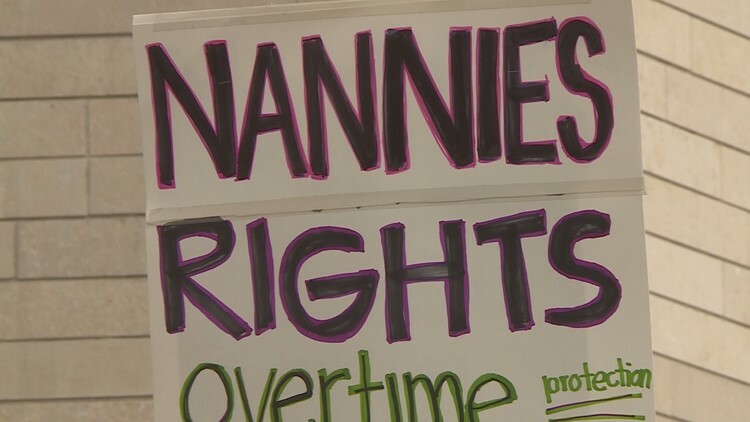 A new bill of rights introduced in Seattle creates a new labor standard protecting housekeepers, nannies, gardeners, cooks and household managers. Seattle has approximately 30,000 domestic workers. The Domestic Worker Ordinance was introduced during the Housing, Health, Energy, and Worker's Rights Committee meeting Thursday morning. The ordinance is spearheaded by Councilmember Teresa Mosqueda. "Today is the day that we show what it looks like to stand up for our most vulnerable," said Mosqueda. As it stands now, the bill proposes that domestic workers be guaranteed minimum wage pay. It stops employers from taking original documents from workers and mandates time for meals and breaks. "We really, really need the same rights as everyone else. We're people too," said Ty Messiah during a public comment session in the chamber. Workers got the chance to share their experiences on the job, giving examples of why they say they need more protections. "Our voice is important," said advocate Glinda Blanco. Blanco was a domestic worker for 14 years in Seattle. She said during that time, she experienced abuse and discrimination on the job. She encouraged her fellow domestic workers to speak up for their rights and to share their stories. "This is your story, this is your life. You have to show up and be out of the shadow and tell your story to the city of Seattle," Blanco said. Dozens of domestic workers rallied before a &quot;Bill of Rights&quot; was introduced in a Seattle City Council committee meeting. The ordinance will also create a standards board. The board will act as a forum for workers, employers, and advocates to connect and make further recommendations to the city for worker's protections. The committee will have a few weeks to go over amendments made to the Domestic Workers Ordinance. They meet again on July 5.